This is an ongoing project that aims to question public attitudes towards work (paid and unpaid labour), the value of free-time and if Universal Basic Income could enable us to become more active citizens. The exhibition also hosted a series of events including discussion based workshops, a film screening and an audio/visual performances in collaboration with Yol & Posset. 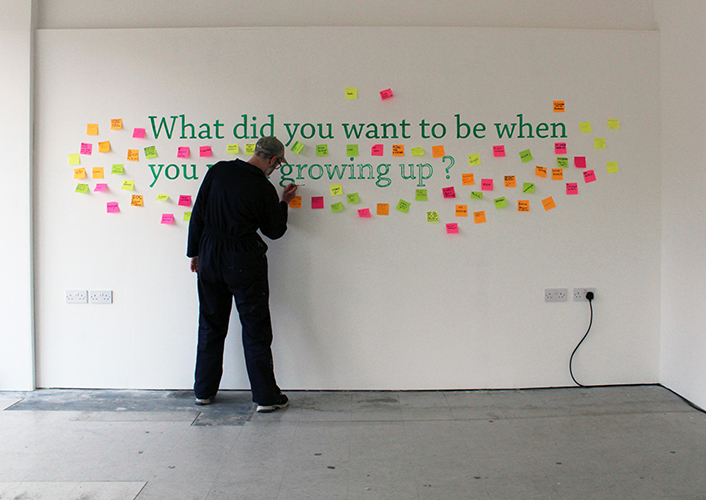 For the duration of the exhibition Lloyd will be in the gallery space painting the following questions on to the wall by hand. – What did you want to be when you were growing up? 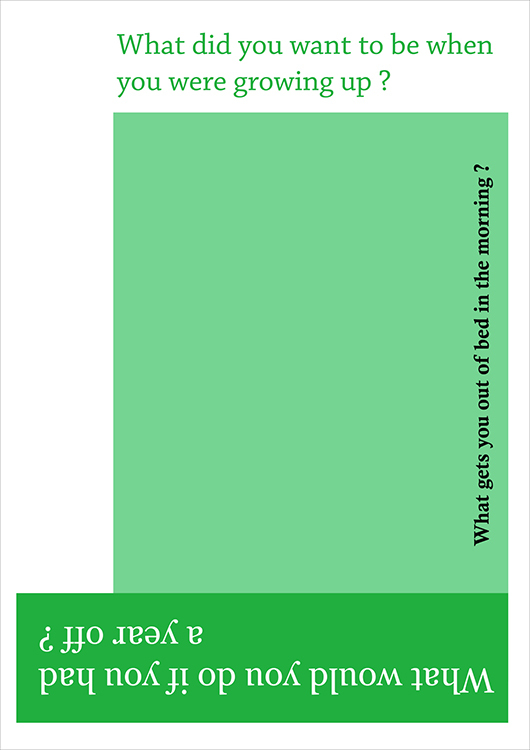 – What would you do if you had a year off? Visitors will be invited to respond to the questions and to discuss their answers with him as he works in the gallery space. 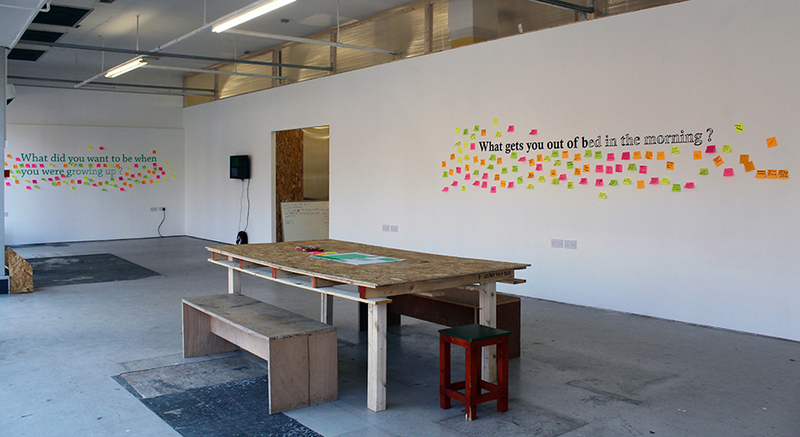 Alongside this visitors can take away a Risograph poster which has the three questions on one side and a short essay on the reverse. The amount of time it takes Lloyd to complete the paintings will be recorded each day and displayed as part of the exhibition. The hours will be translated into a monetary sum using the minimum wage and living wage to calculate the cost. This information will be used to create a time/value scale and question if more could have been achieved in this time or with the money the activity would have cost. For example, the questions could have been printed and installed as vinyl lettering by a local business for x pounds, freeing him up to engage in another, potentially more productive activities. On the final day of the exhibition, he will paint over the text and return the gallery to the state that it was found. The time this takes will also be recorded and added to the calculation. The work was first presented at Newcastle University in August 2017. Scroll right to see images of the installation. 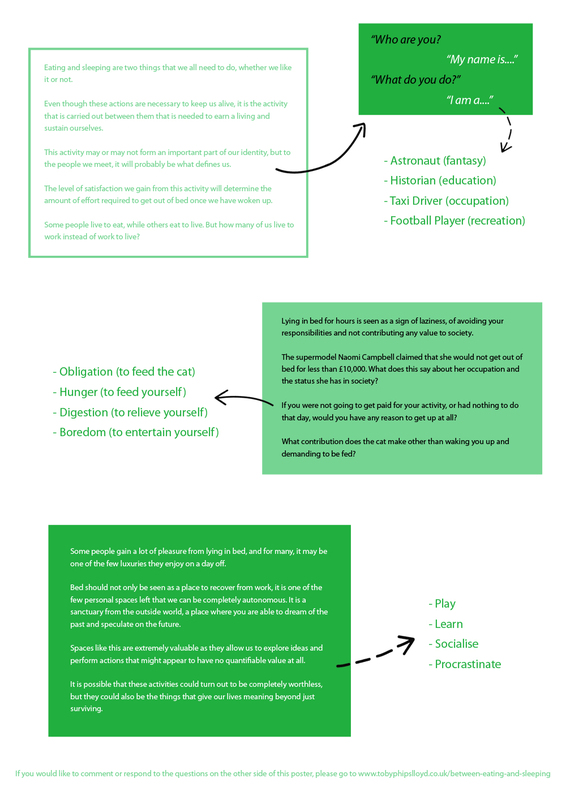 Below is a short video that illustrates the essay on the reverse of the poster. 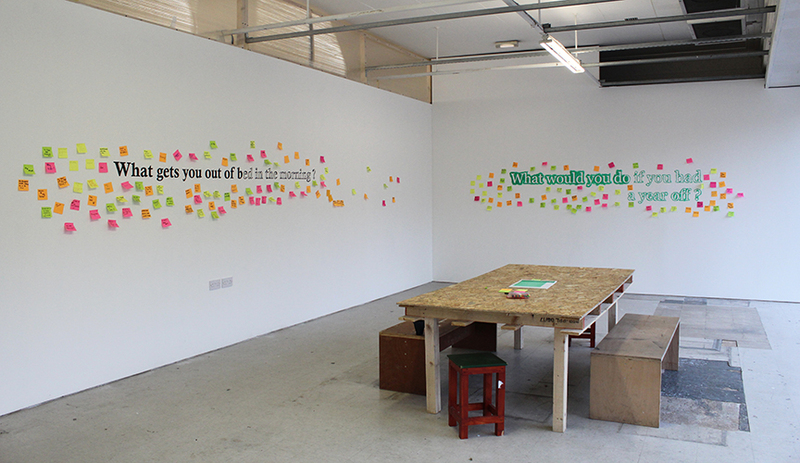 It includes responses visitors to the Newcastle exhibition made to the three questions. The project has also been exhibited at Newcastle University (August 2017) and Gallery II at the University of Bradford (February 2018). Tuesday 13th March 6.30pm @ The NewBridge Project, Newcastle Screening of Margaret Gilmour’s documentary Basic Income is coming to Scotland, followed by informal discussion about Universal Basic Income and what would be the potential benefits or pitfalls if the policy was implemented in the North East. Monday 19th March, 6:30pm @ The NewBridge Project, Gateshead Reclaiming the Future – an informal round table discussion which explored how more positive images for the future could be made through collective means. Saturday 24th March 3pm @ The NewBridge Project, Gateshead Yol / Posset / Lloyd responded to the material in the gallery that had been gathered over the two weeks of the exhibition using objects, scrap metal, Dictaphones and throats.